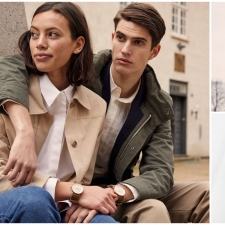 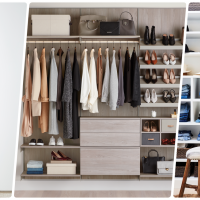 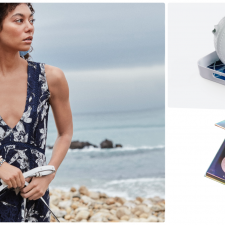 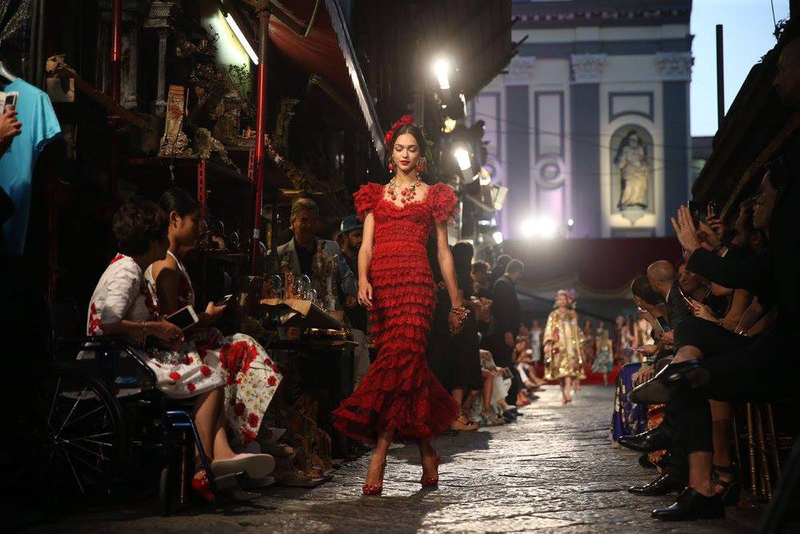 Inspired by Sophia Loren’s films – ‘L’oro di Napoli‘ (1954), ‘Questi Fantasmi‘ (1968), ‘Sunflower‘ (1970) and ‘Marriage, Italian Style’ (1964); Dolce & Gabbana showcased their love for her and Naples with amazing Alta Moda collections. 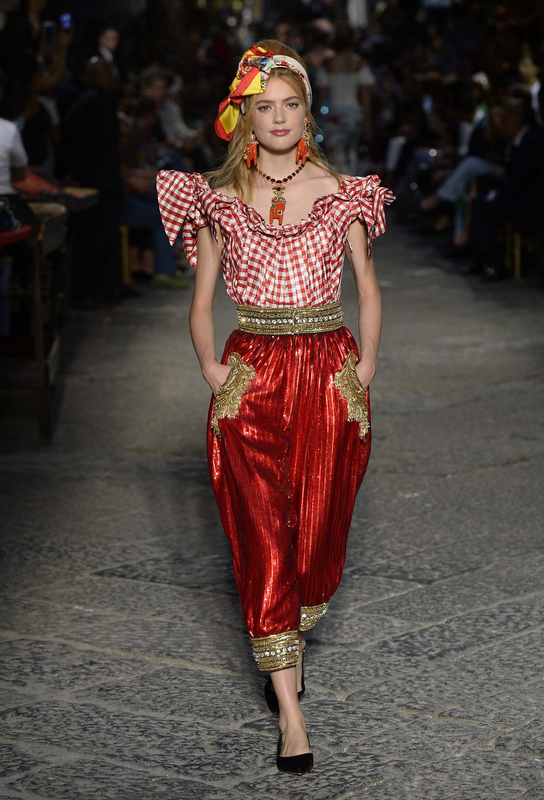 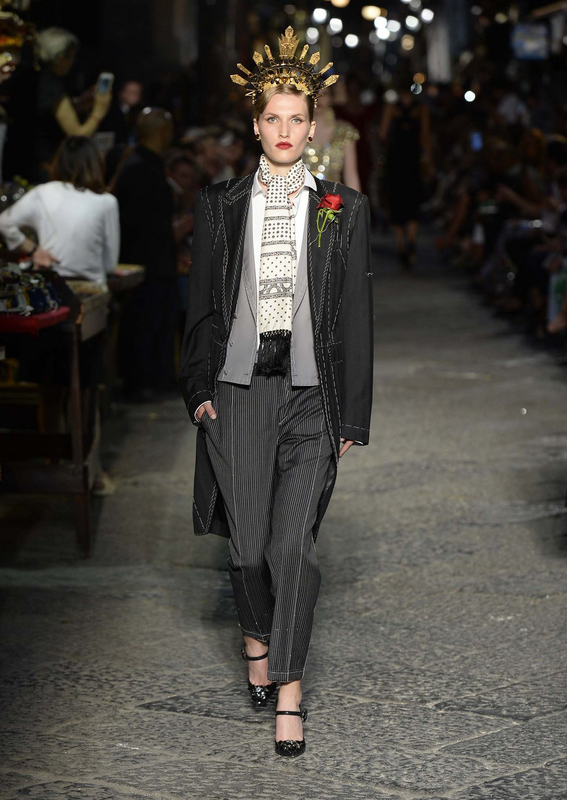 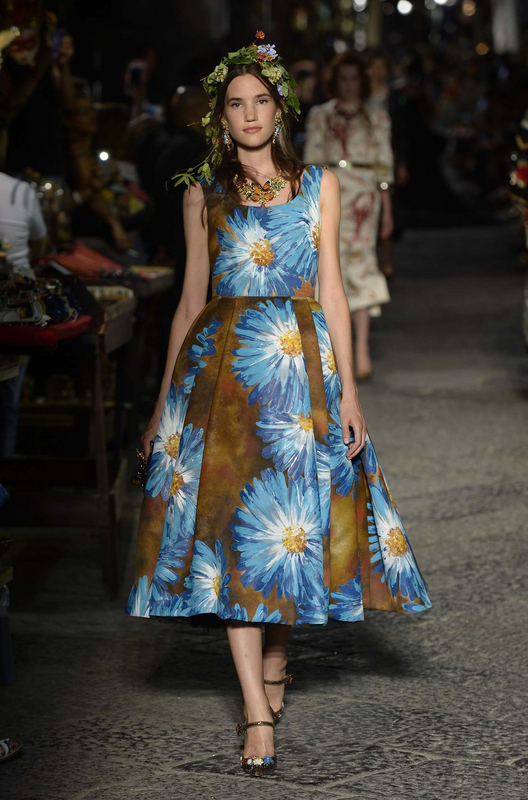 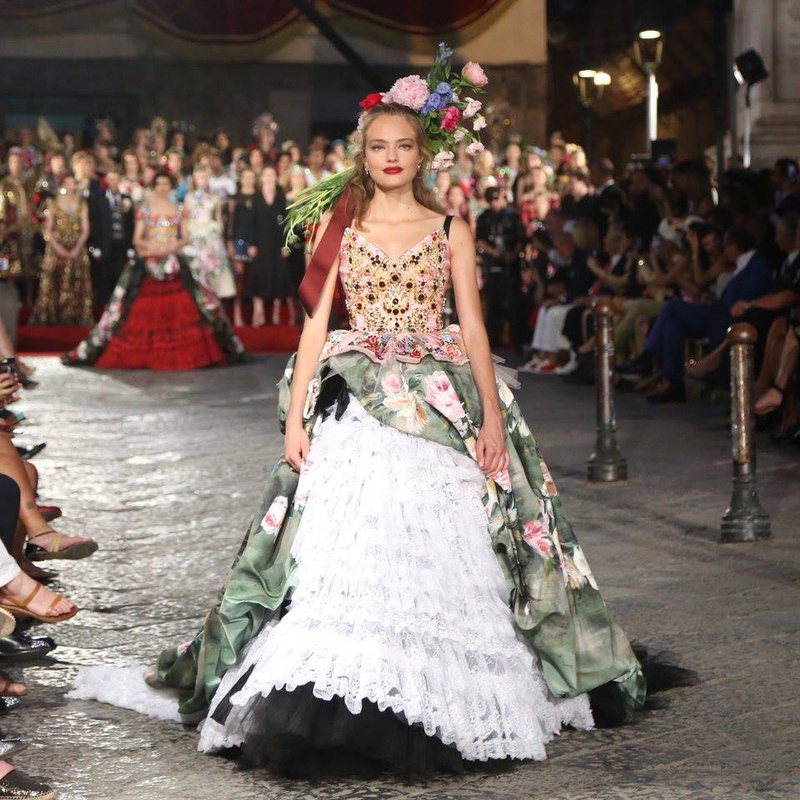 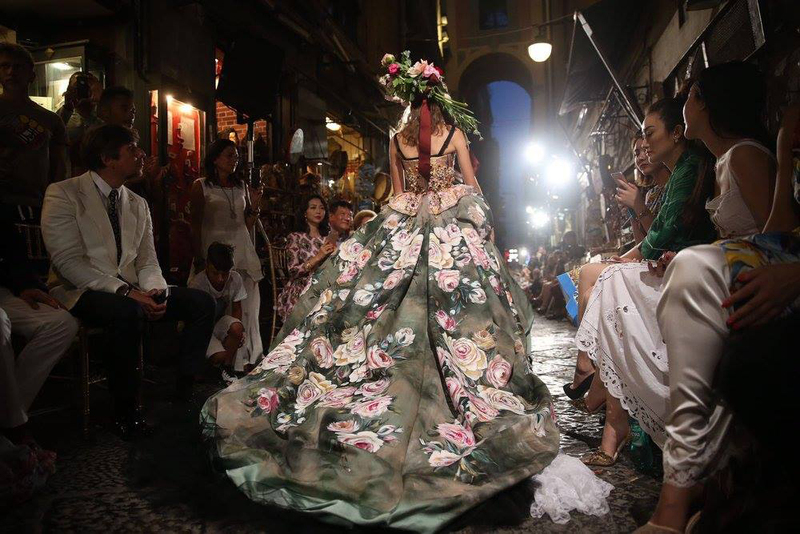 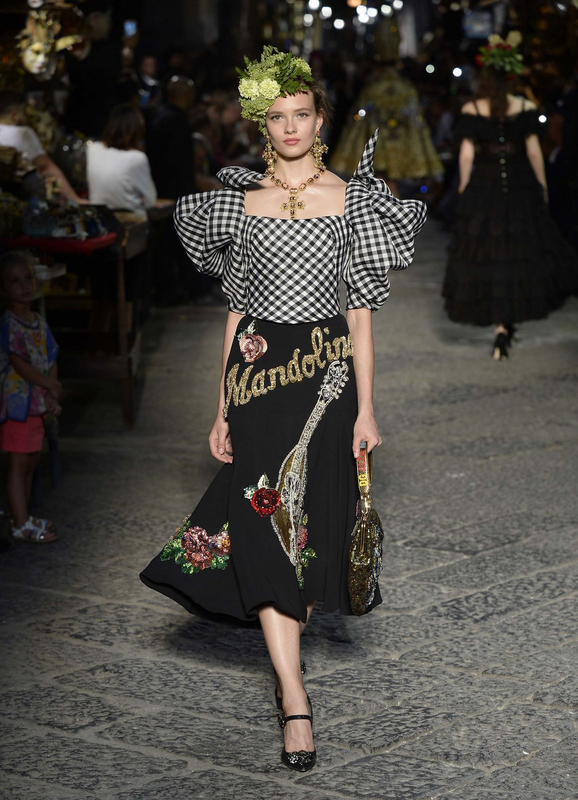 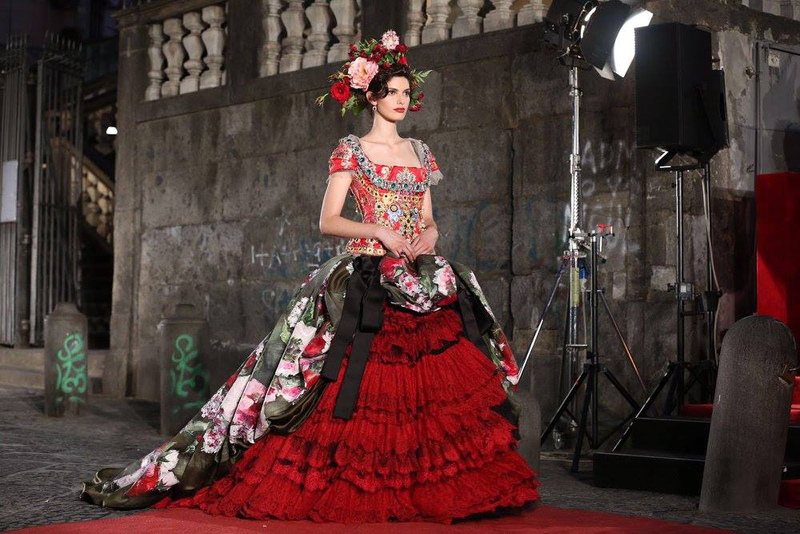 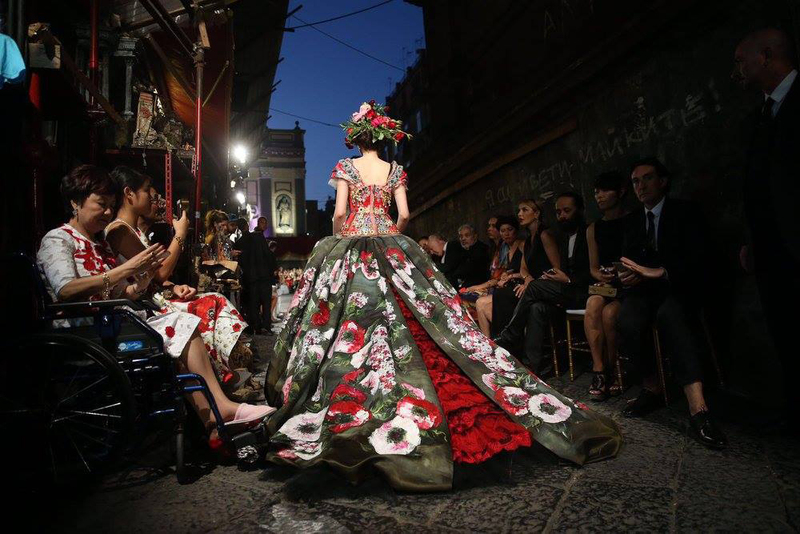 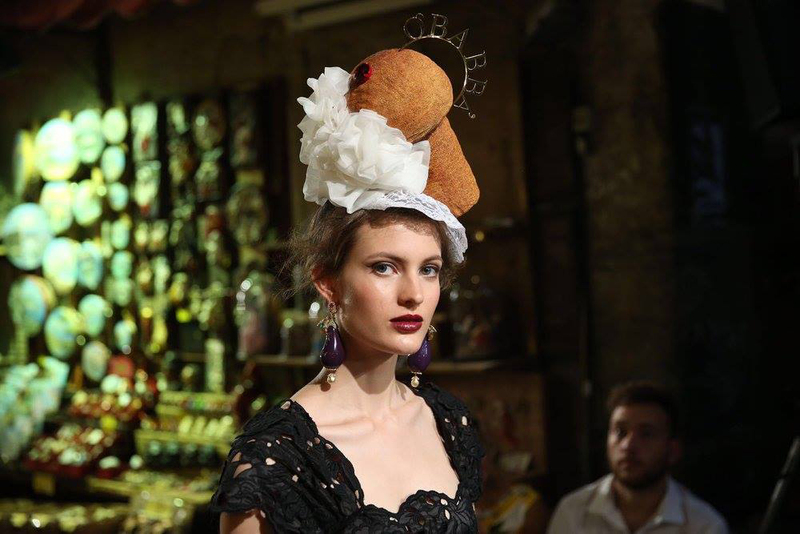 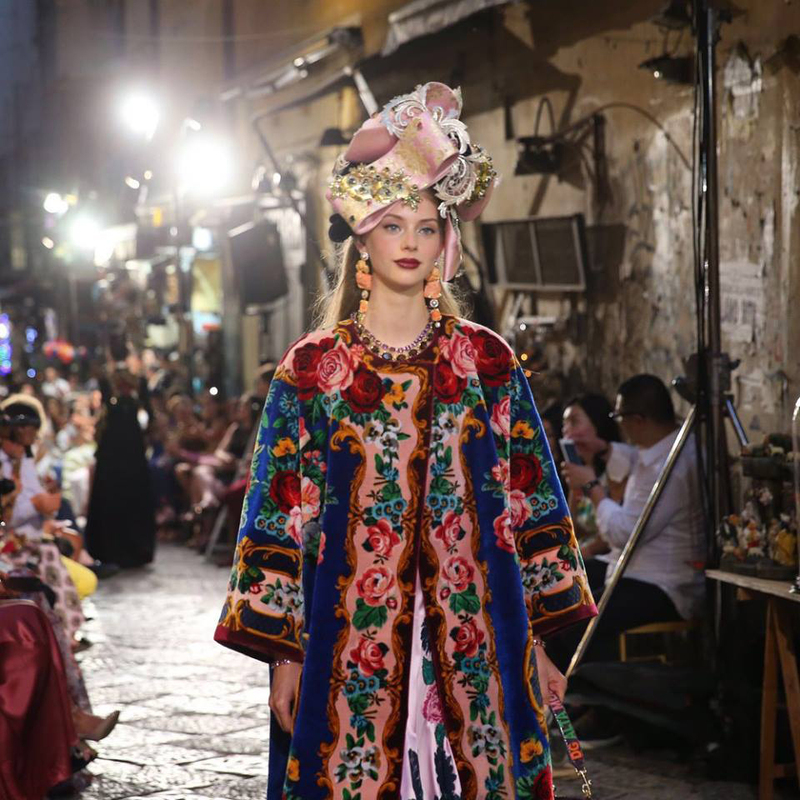 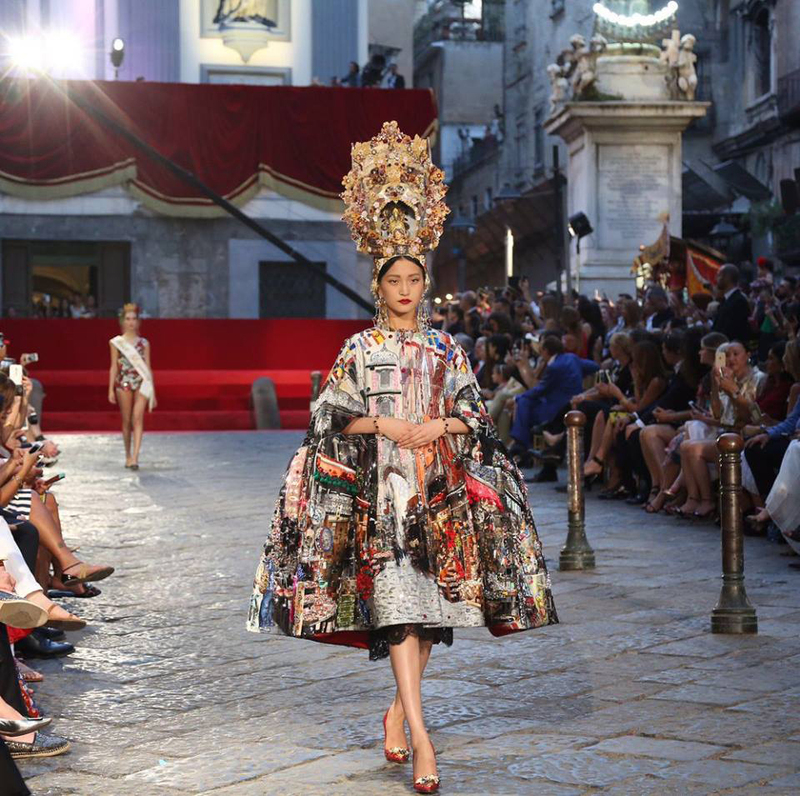 Dolce & Gabbana chose the square in front of the Church of San Gregorio Armeno, as the location for their show of Alta Moda 2016 collection. 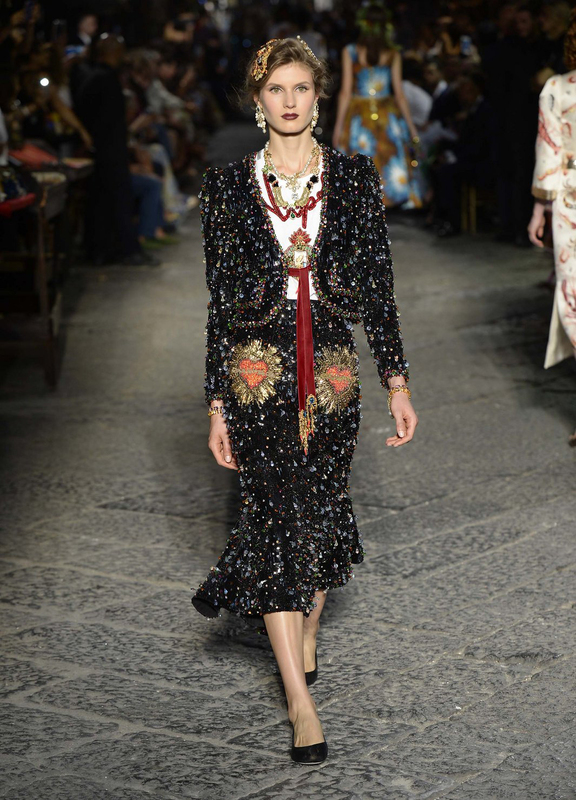 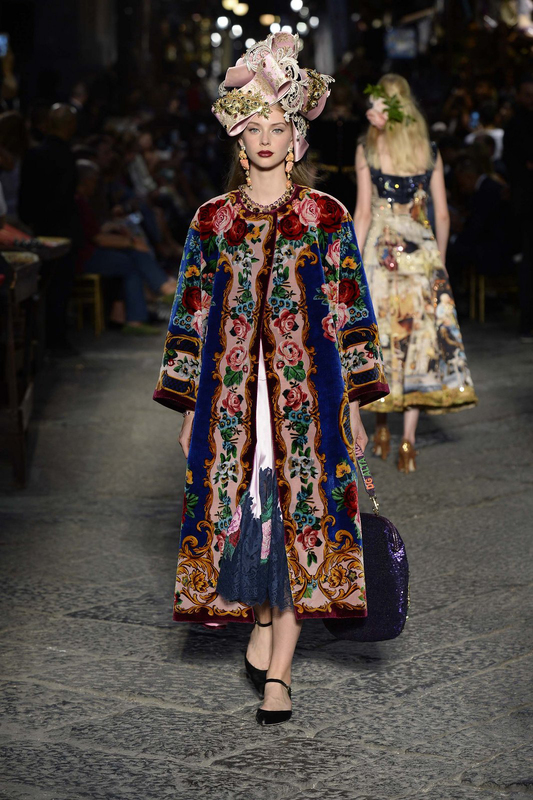 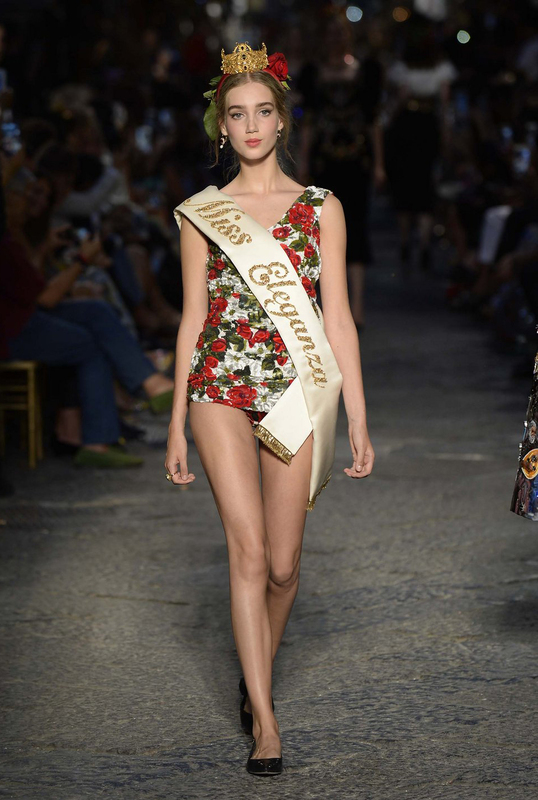 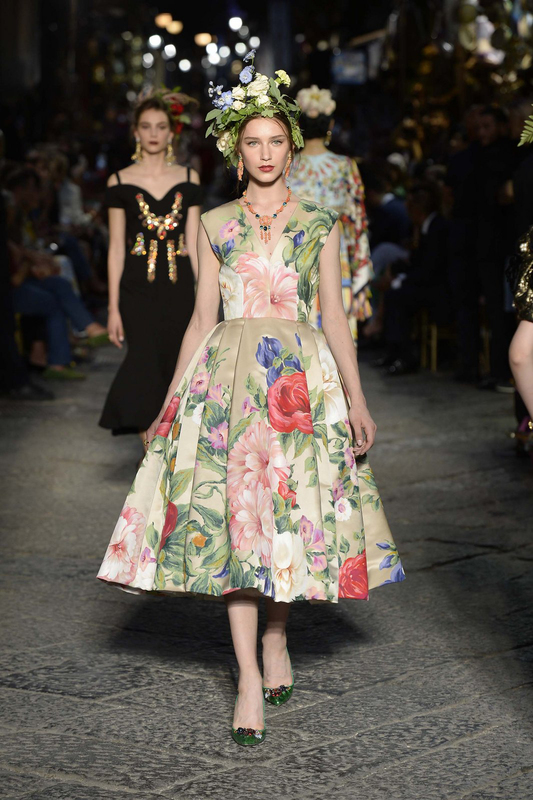 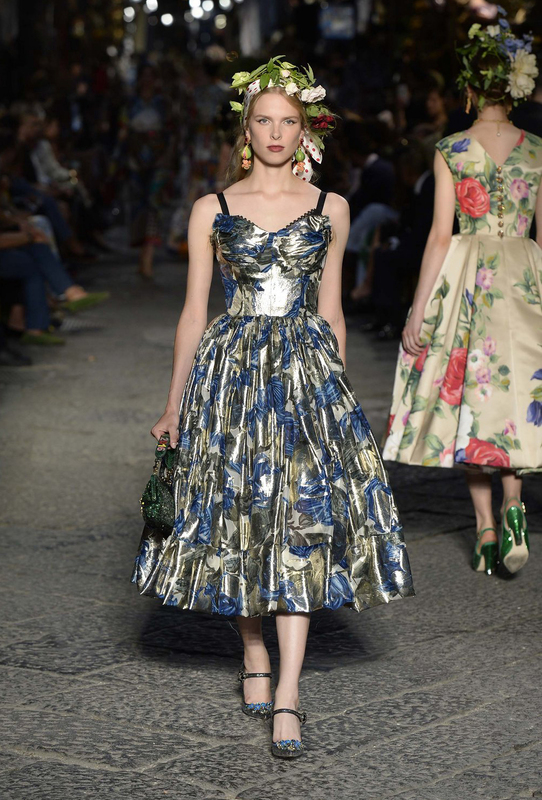 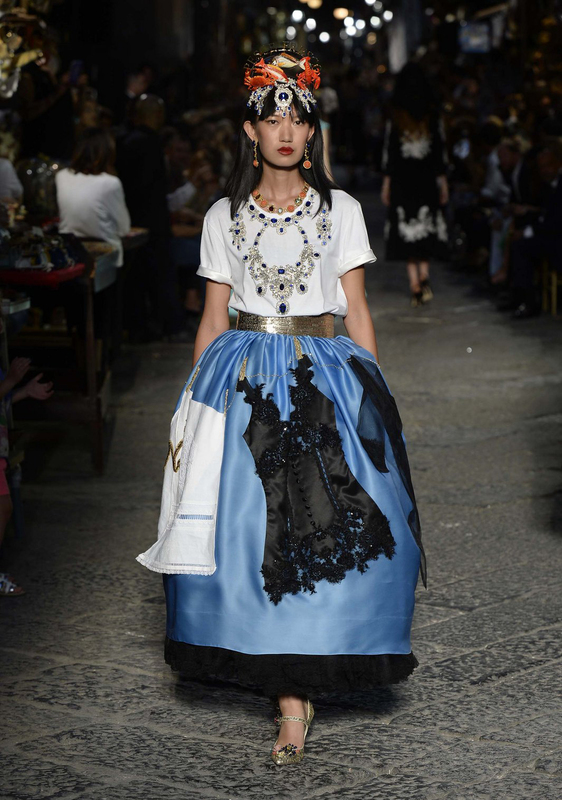 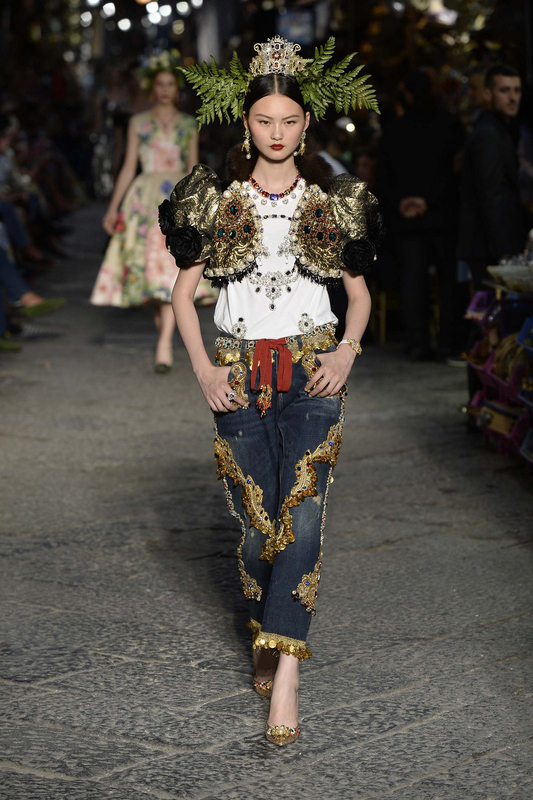 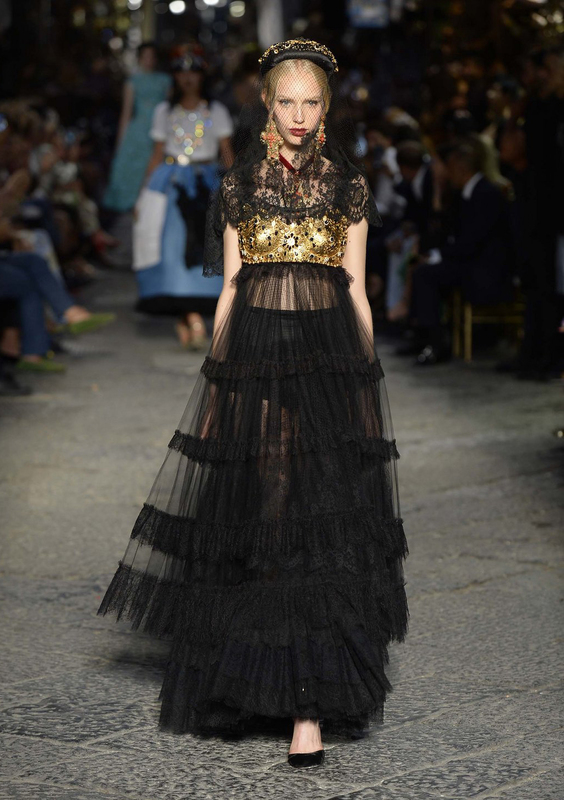 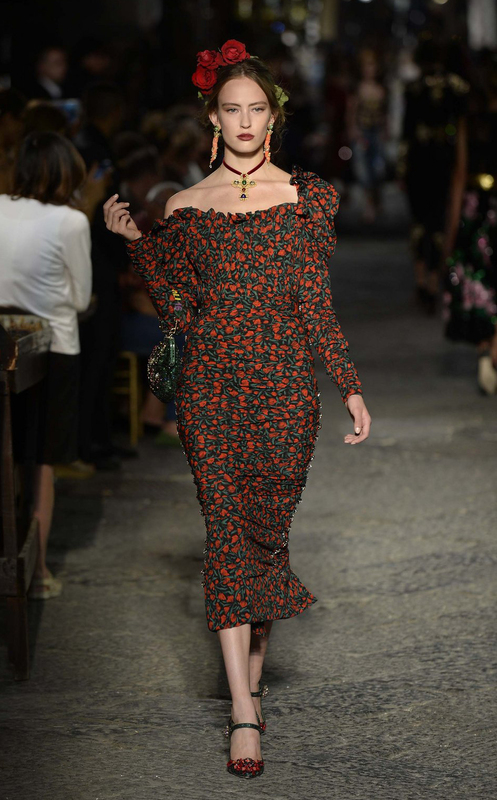 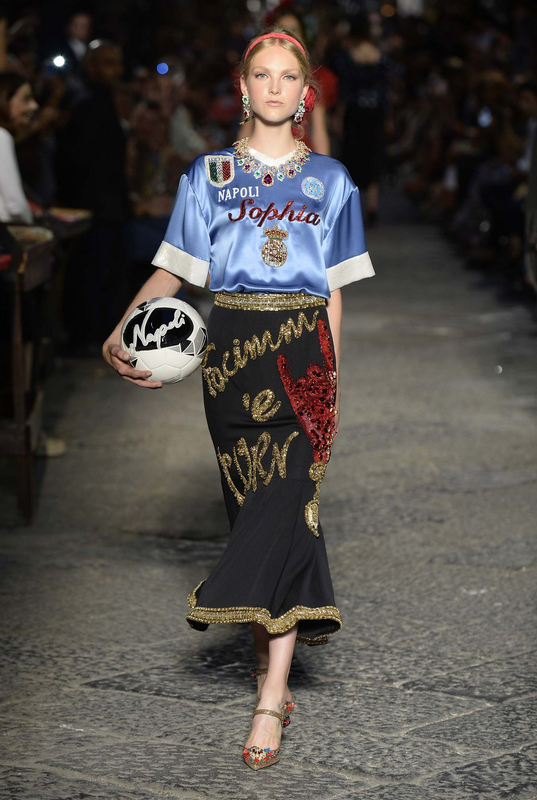 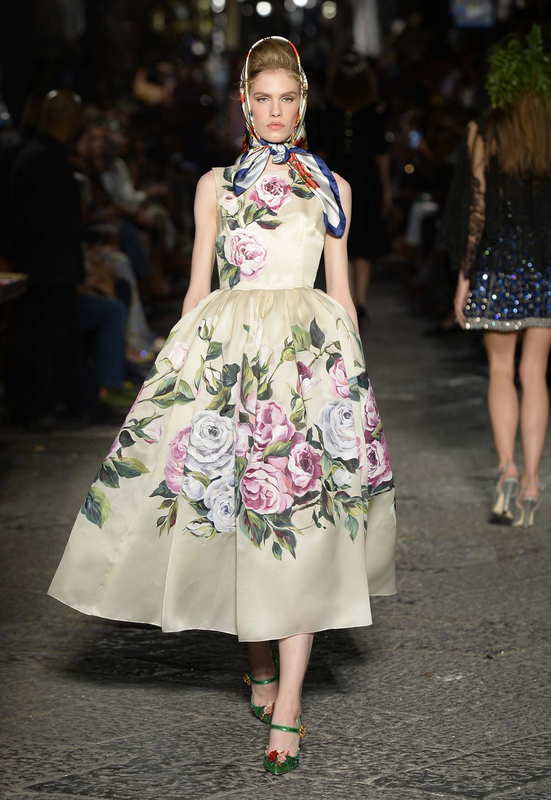 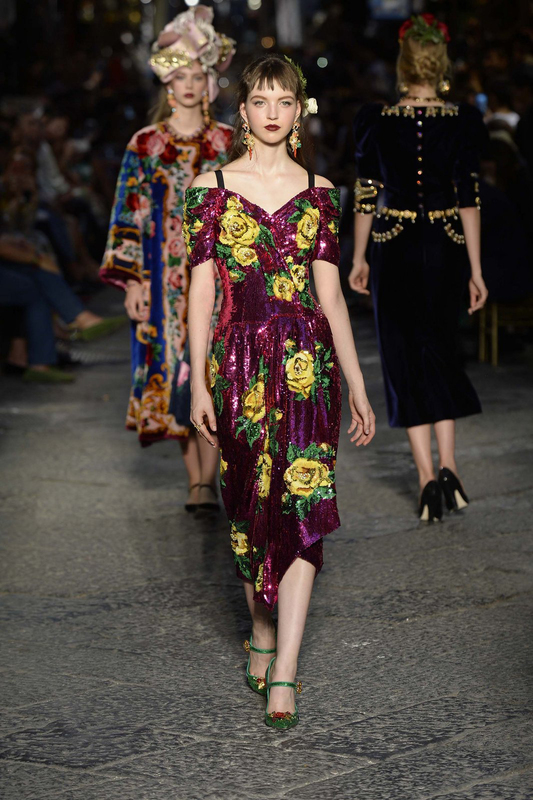 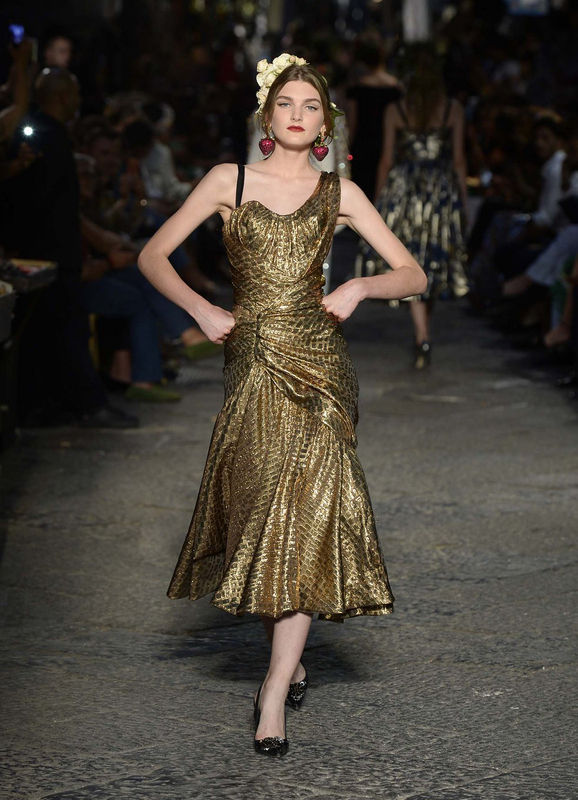 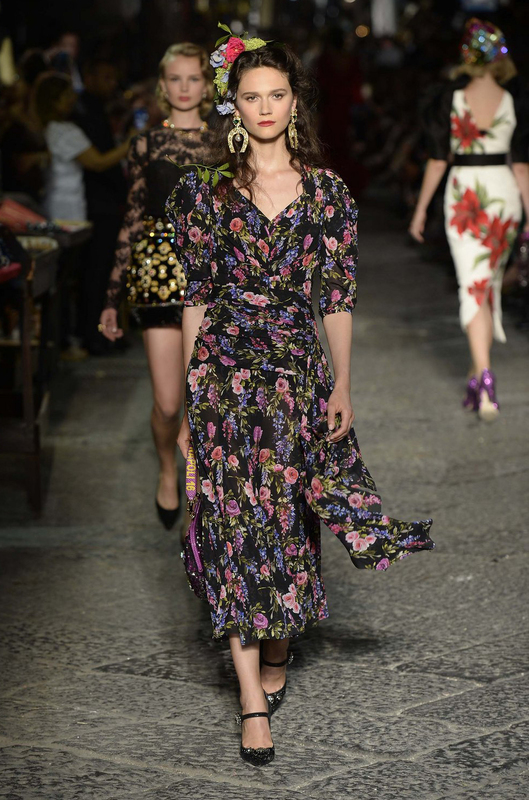 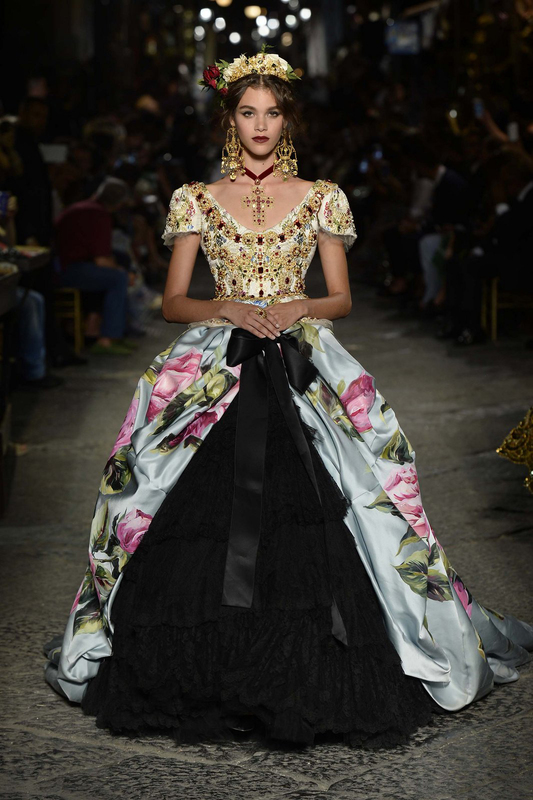 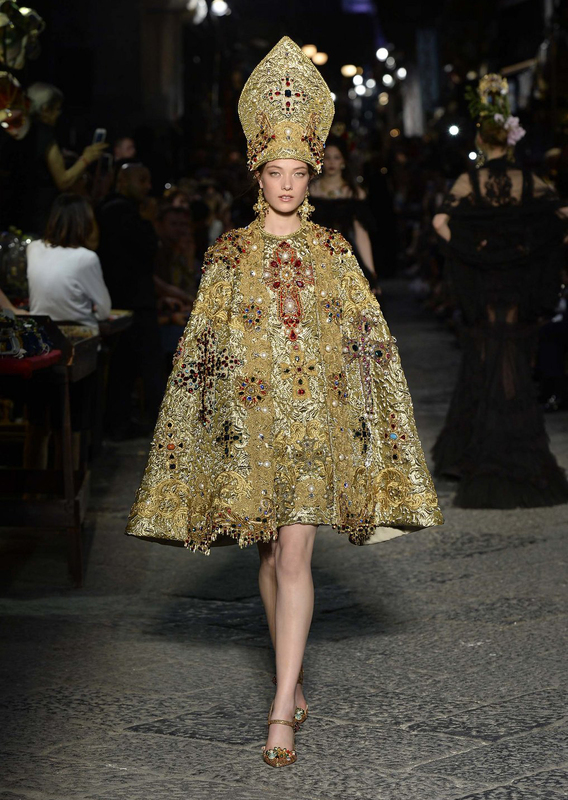 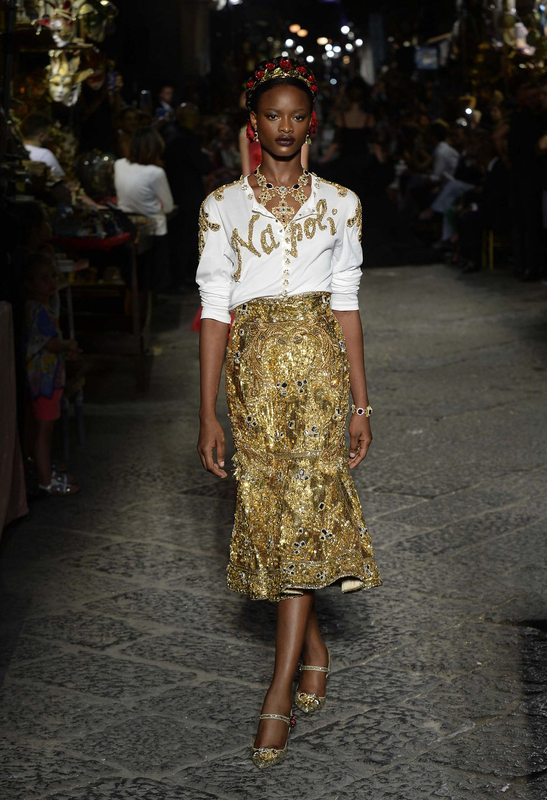 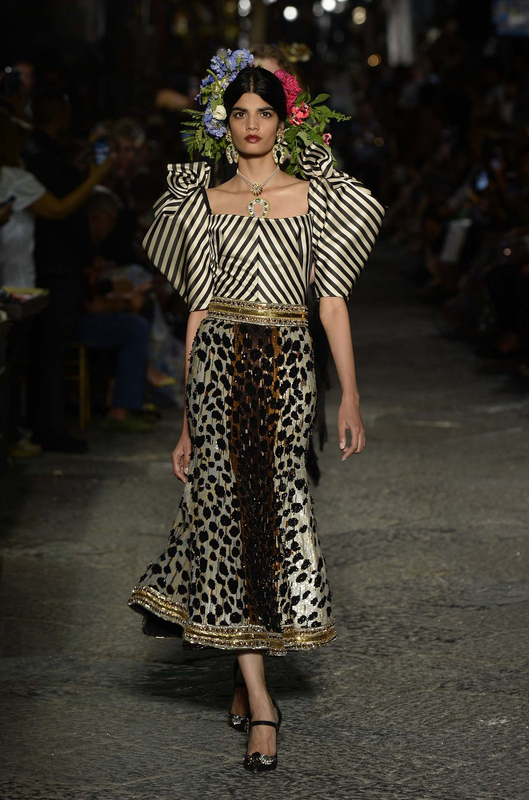 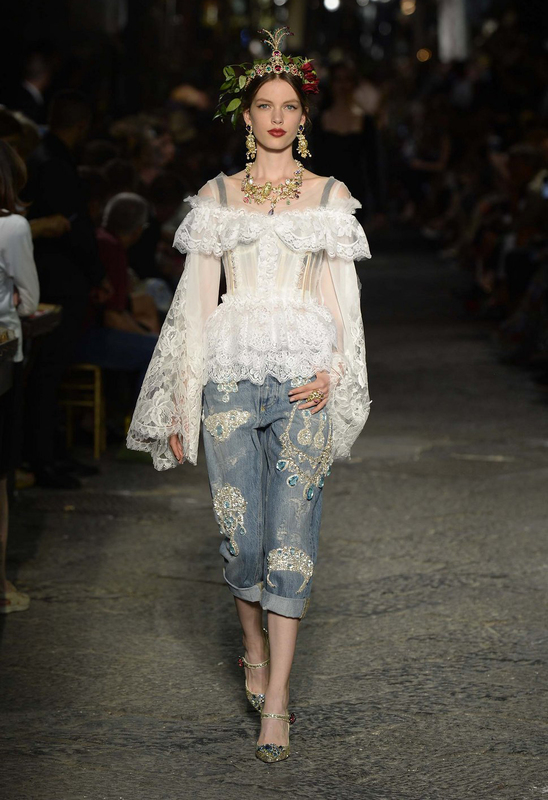 Exclusively crafted, sequinned, floral dresses, baroque embroideries, velvet gowns inspired by the Napolitan culture, off the shoulder tops, pencil-skirts, trapeze coats and artful pieces were combined together with eclectic prints, colors and oversized headdresses by Dolce & Gabbana. 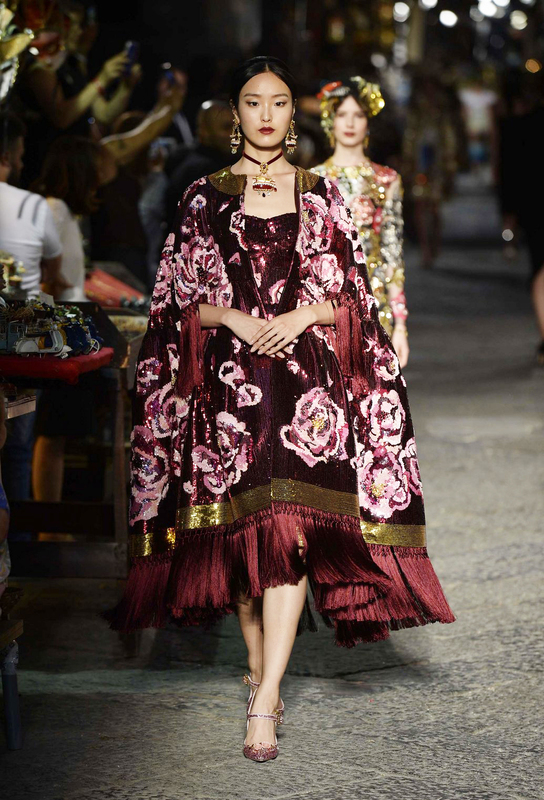 All images courtesy of Dolce & Gabbana. 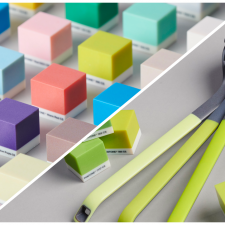 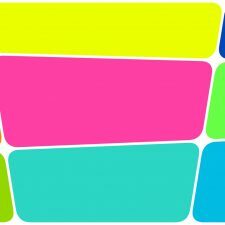 Red Dot Design Museum Essen Presents Exhibition on 3D Printing: "Making a Difference / A Difference in Making"